Tiny fish bones, 18th century sofas, naval torpedoes—museum storage has to hold it all. 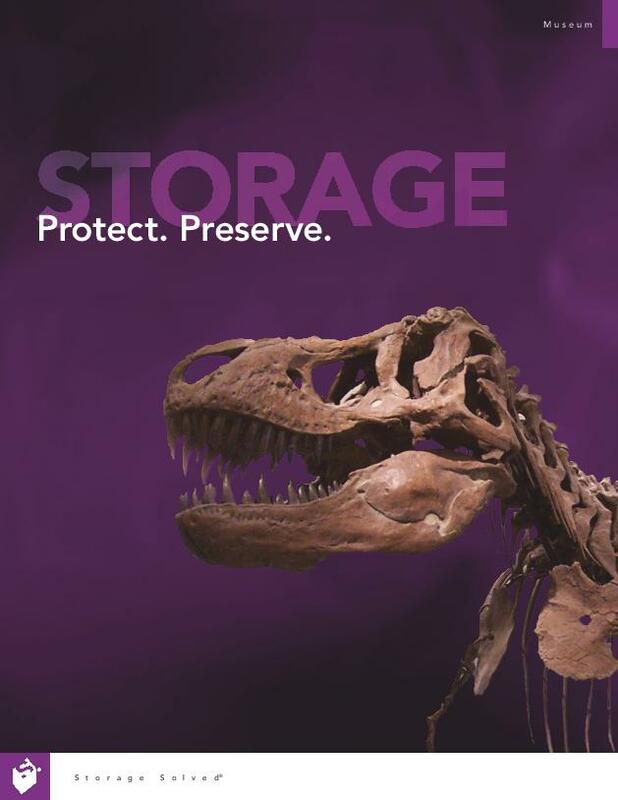 See how we help store history safely and efficiently, even as your collections grow. In our work with museums, we’ve come to understand a universal truth—most museums own far more artifacts and art than they can possibly display. Collections care is arguably the single most important undertaking for museums, regardless of their size—and as collections continue to grow, it’s important that a museum’s storage space is efficient, convenient, and secure. We’ve partnered with Spacesaver to provide museums with the most expansive, effective line of collection care systems. One of our partners, the Delaware Art Museum, had expanded and renovated their space in order to provide three brand new wings, a café, space for arts education programs, a museum store, offices, and collection care facilities. After the expansion, the Museum was gifted a large donation of rare classic books with the original publisher bindings—and quickly realized that even with the renovated space, they had no place to put the 40 to 50 boxes they were given. We were able to work with the Museum to maximize all their available space, including the installation of a high-density mobile shelving system that held a variety of static shelving and art storage racks. Interested in additional stories of how we’ve helped museums preserve artifacts and artwork in the presents as well as for the future? Check out our partnerships with the Indian Pueblo Cultural Center in Albuquerque, New Mexico and the Chemical Heritage Foundation in Philadelphia, Pennsylvania. With our combined industry knowledge and expansive product offering, you won’t find a more effective provider of collection-care systems.